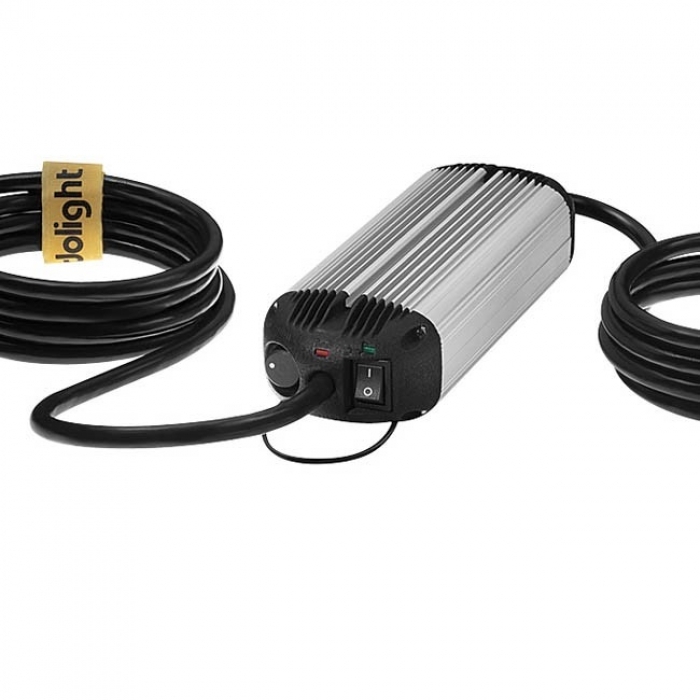 The Dedolight DLDIM2000 In-Line Dimmer with integrated DMX, can control many dedolight tungsten focusing and soft lights along with lights of other manufacturers up to 2kW at 230-240V or up to 1kW at 100-120 V.
Since these DMX-controlled dimmers are noiseless, they can be mounted next to the light. Mounting devices for attaching to pipes via clamps are available. As a result, many studios will be able to eliminate external dimmers which often generate noise and require a room of their own. 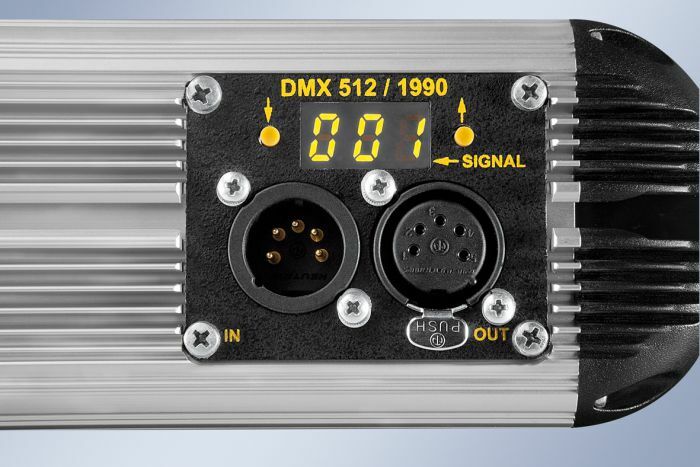 The high tech dimmers bridge the missing gap of DMX for all halogen studio lights.